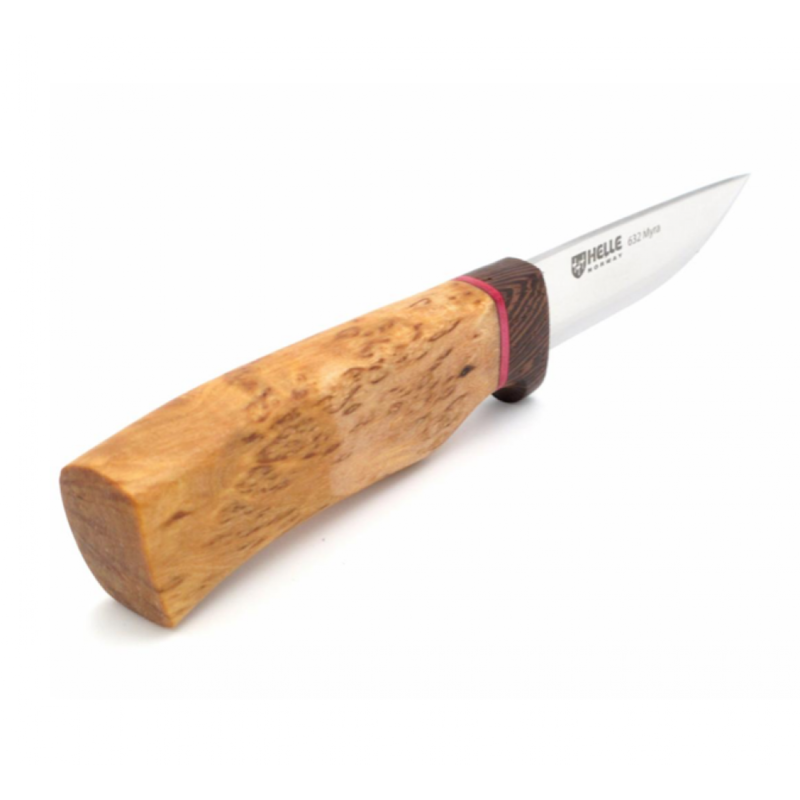 This knife is limited to only 250 pieces, the Myra pays homage to Sigmund and Steinar Helle, the company's founders. 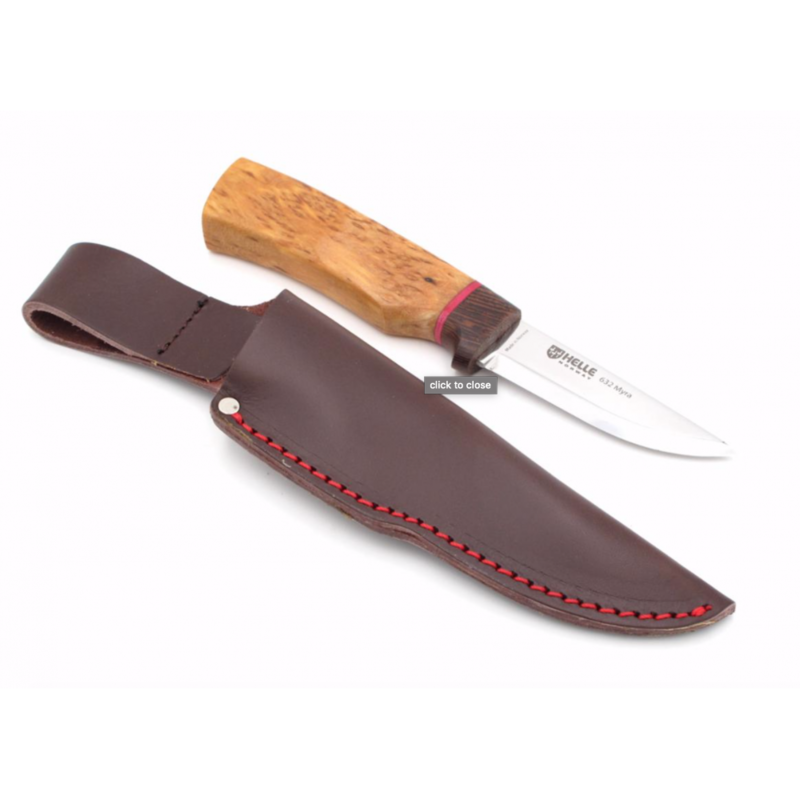 Its namesake is the farm where they grew up and eventually started the HELLE factory in 1932. Each package will be individually numbered (1 of 250, 2 of 250, ETC). Available only while supplies last. These will take up to a few weeks to ship to you. Blade Material: Triple laminated stainless steel. Blade thickness: .28 cm. Blade length: 2.8". Handle Material: Darkened oak, leather and curly birch (3.6" long).